I made two pairs of these cufflinks on commission. 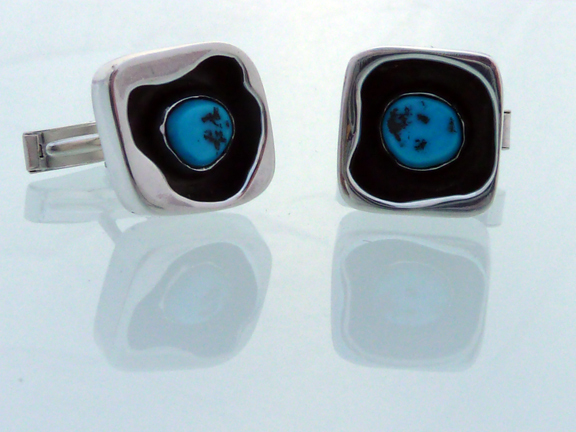 The request was something with turquoise and silver for two businessmen. This is the result. Previous Post Art Show in Tucson ~ Live!